This past weekend in our town was the 56th annual Squamish Days and Loggers Sports Festival. Squamish Days is a weekend long festival that includes music & art events, children’s activities, a parade, wacky bed races, a 10K run, pancake breakfast and two world class Loggers Sports Shows. The logger shows are very cool with competitors from all around the world competing in all kinds of unique logging events like chainsaw chair carving, Axe throwing and tree climbing just to name a few. It’s a great family event and all this logging and forestry stuff it reminds me of this little vignette from the 70’s called the The Log Driver’s Waltz. If you’re in your 30’s and 40’s and grew up in Canada, this one should be familiar to you. Always great to see promotion of the new Squamish. BC’s fastest growing community. Our Mayor Rob Kirkham speaks on TheRush OnShawTV. 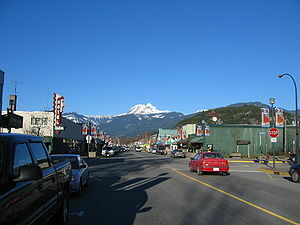 Squamish is named the Outdoor Recreation Capital of Canada for good reason. You can participate in dozens of great outdoor activities from skiing and snowboarding to kite boarding and paragliding. Here are 13 videos to give you a taste of whats out here.